Match-day 14 of the 2018/19 Kenya Cup saw champions KCB and Kabras Sugar book home semi-finals after securing top two positions with two rounds of matches to go. KCB's last two matches are against Quins and Homeboyz while Kabras host Strathmore Leos and finish with Impala in Nairobi. Whoever finishes top between KCB and Kabras Sugar will host the final, may they progress. KCB has hosted the last two finals beating Kabras Sugar in both occasions. Read Also: Where is Logan? Fourth placed Nondies (41), fifth placed Impala (40), sixth placed Mwamba (39) and seventh placed Top Fry Nakuru (37) are all in contention for a playoff slot. Nondies are home to Mwamba on matchday 15 which gives Nakuru an advantage to enter top six may they beat Blak Blad at Kenyatta University. Homeboyz, who finished at position two in last season's regular season, saw their playoff hopes end last weekend after suffering a 32-17 defeat to Kenya Harlequin. They sit ninth with 27 points below promoted side Menengai Oilers whom they meet this weekend at Jamhuri. Relegation battle is between Blak Blad (10th) on 16 points, Strathmore Leos (11) on 14 points and Mean Machine (12) on 11 points. 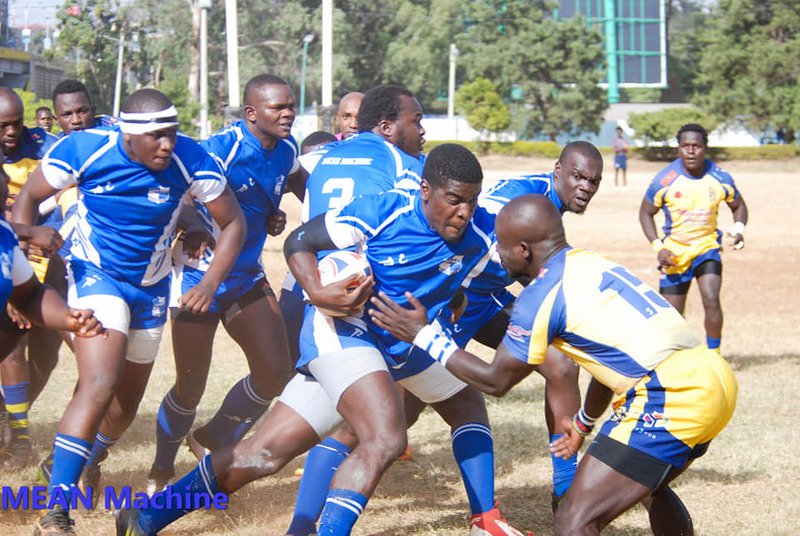 Machine need maximum points in their last two matches, against Impala (A) and Nakuru (H) and hope Blad and Leos don't win.